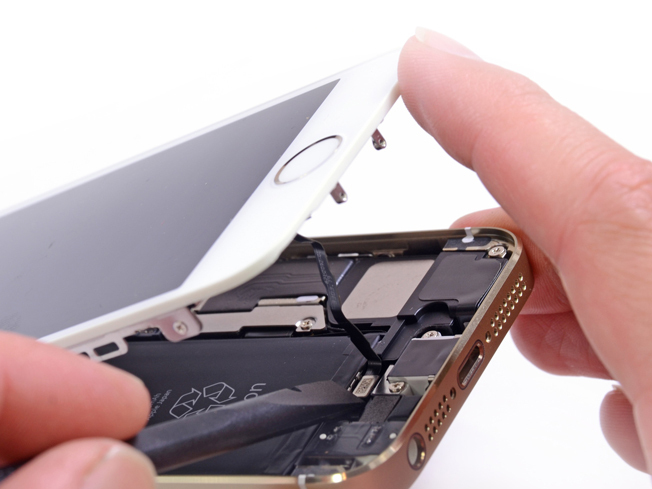 AllThingsD has confirmed that iPhone 5S / iPhone 5C users will soon be able to have broken displays replaced and other small repairs made to their devices at Apple retail stores. The publication is reporting that Apple is preparing to extend the same in-store repair program it rolled out for the iPhone 5 this past summer to its newly introduced iPhones as well. According to 9to5mac, Apple Stores will be equipped to handle most common repairs, including cracked screens and bad batteries. Apple is reportedly providing its retail stores with special machinery to replace the touchscreens on both the iPhone 5S and iPhone 5C. These machines will be used specifically to calibrate the displays. Apple stores will also have the capability to replace volume buttons, vibrating motor, rear-camera, and speaker system on both new iPhones. So far, there is no official word from Apple regarding any in-store repairs for iPhone 5S / iPhone 5C in Canada, but we can assume it will be the same policy.